This Bishop was one of the first complete bike builds to come out of the new shop. It took a while to get pictures of it. 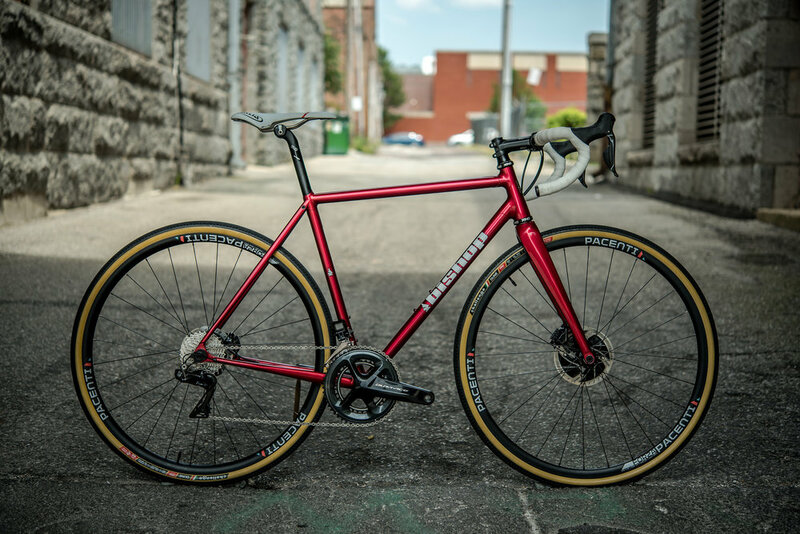 It was exciting to be building up not just a great bike, but a bike for a rad person. This bike went to Josh of Samurai Messenger Service. Chris Bishop and I went up to New York City to see the Jesus Lizard perform and then met up with Josh the next day. We met at Deluxe Cycles so Chris could use their size cycle. The crew at Deluxe are really nice and their shop is great. Fast forward a handful of months and the frame was built, painted and ready for assembly.